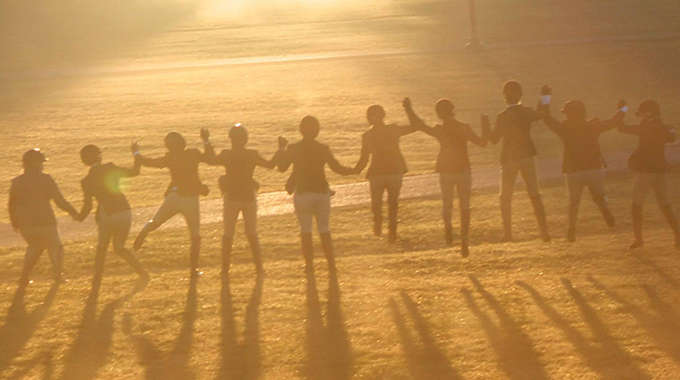 You’ve made the decision to ride in college. But which program is right for you? Hunt seat equitation and western have two governing organizations which we will look at today: IHSA and NCEA. Let’s first take a look at IHSA’s mission statement. The IHSA promotes competition for riders of all skill levels, who compete individually and as teams at regional, zone, and national levels. The association was founded on the principle that any college student should be able to participate in horse shows regardless of his or her financial status or riding level. Emphasis is on learning, sportsmanship, and fun. Competition plays a role but the students’ enthusiasm and team spirit are the major factors. 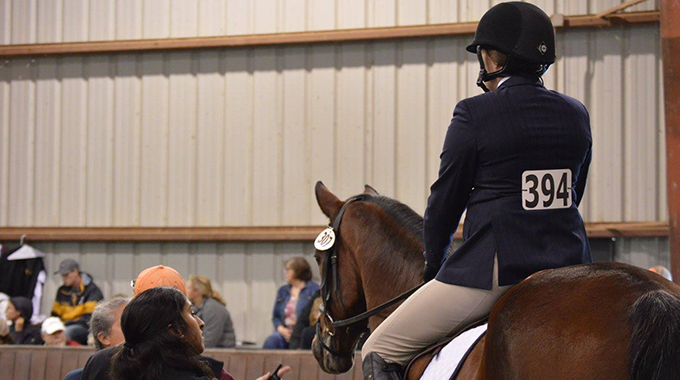 The objective of IHSA competition is to offer the opportunity to riders in their first years of riding as well as to students with show experience. Eliminating the expense of shipping or even owning horses puts IHSA competitions within reach of many who would otherwise miss the equestrian experience. Now let’s look at the NCEA mission statement. What divisions does IHSA offer? IHSA provides divisions in the Walk Trot, Walk Trot Canter, Novice Flat, Novice Fences, Intermediate Flat, Intermediate Fences, Open Flat, and Open Fences. The divisions that riders compete in are based on previous riding and show experience. What divisions does NCEA offer? There are four classes in a NCEA competition: Hunt Seat Equitation Over Fences, Hunt Seat Equitation on the Flat, Western Horsemanship, and Reining. All classes are for the highest level of riding. How do IHSA competitions work? Within the region, a school will host a horse show and provide the horses for the competition. 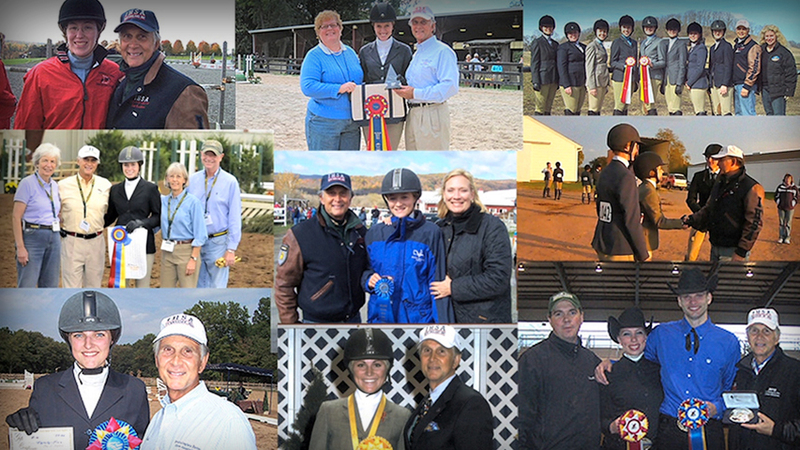 The host school determines how many riders from each school may compete. Horses are randomly drawn and no warm up is provided. How do NCEA competitions work? 5 riders from each school compete on the same horse head-to-head. They have four minutes to warm up on their horse before competing and know the flat portion of their test before the show. Both organizations in Hunt seat equitation compete on the flat and fences. Western also competes in horsemanship and reining. IHSA and NCEA determine horses through a random draw and both programs are highly competitive. NCEA competes in a head-to-head competition against one school, while IHSA competes against the entire region at every show. NCEA provides warm-ups and patterns before the show, while IHSA gives no warm-up and no designated tests. NCEA is for the highest level of rides, while IHSA is more inclusive and provides opportunities for all levels of riders. How do their scholarships work? Both NCEA and IHSA teams vary in the amount of scholarships provided to students. Some NCEA/IHSA teams have scholarships, and some do not. NCEA teams are allowed to offer 15 full ride scholarships, which include tuition, student fees, room, board and books. These 15 scholarships can be divided in any way they like. But some of the 22 schools do not offer scholarships at all. For example, Division III schools are not allowed to give athletic scholarships. Even though NCEA offers scholarships, it is very unlikely to get a full ride. IHSA provides multiple scholarships through the organization. Some schools also offer scholarships for their team members. Looking to study equine science? Many universities with IHSA programs provide Equine science programs including: SCAD, Virginia Tech, University of Findlay, University of Vermont, Centenary, and more. Within the NCEA program, 15 of the teams have Equine Studies programs including: Auburn, Cornell, Delaware State University, New Mexico State, and others. Do schools have both IHSA and NCEA teams? 11 of the 22 NCEA teams also compete in IHSA. Auburn, Brown, College of Charleston, Cornell, Kansas State University, Sacred Heart, University of South Caroline, Seton Hill, Stonehill, University of Minnesota, and West Texas A&M have both NCEA and IHSA teams. Hunt seat and western classes are performed like regular industry horse shows. Hunt seat competes over fences and on the flat, and western performs reining patterns and rail classes. Hunt seat riders jump industry standard over fences courses. Competitors are given English flat, Western horsemanship (mounted tests), and reining patterns before the competition. Both men and women can compete. Only women can compete. Generally organized through the recreational department. Organized through the athletic department. Compete against all teams located in the designated region. Compete head-to-head against one opposing team. Classes for all levels of riders. Classes only for top level riders. 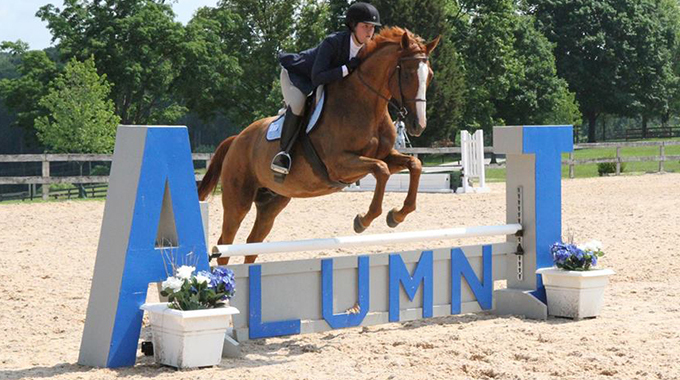 Kayleigh Burke explains the ins and outs of college riding and how it differs from regular horse shows.